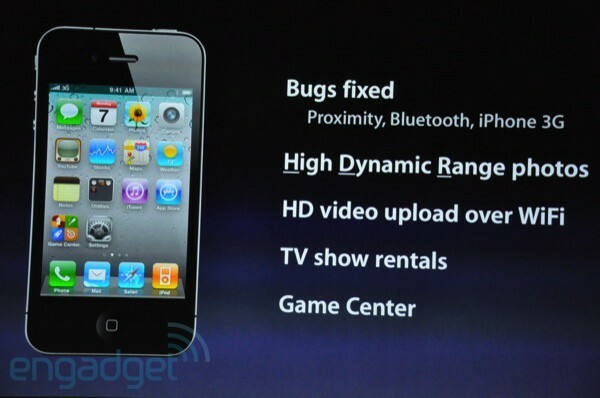 Announced at the September 1 media event, iOS 4.1 for iPhone and iPod Touch is now available to download from Apple. The iOS 4.1 software update is listed under your iTunes updates for iPhone and iPod touch. Developers can also access the download through the iPhone developer page. You can also choose to just download the update and install it later. Presumably you will need iTunes 10 to download and install the iOS 4.1 update since it features new features that are attached to iTunes 10, mainly Ping. Developers have had early access to download the iOS 4.1 from the iPhone Developer home page for about a week before public release. iOS 4.1 will not be released for iPad, but iOS 4.2 will be available on the iPad in November which will bring all the iOS 4 software features to iPad. I am crossing my fingers that this will make my iPhone 3G useful again, if it doesn’t then I am going to just revert back to a landline and live in a tent in the desert forgoing all technologies released after 1922. I downloaded and installed iOS 4.1 on my iPhone 3G today, and I am VERY pleased with the increased performance. Some things are still a bit slow to load, but it is MUCH more responsive now. Can i still download and read pdf files after updating to ios 4.1?Currently i m on ios 4.01 using 3gs. @Gan: If you could download and read PDF files before with 4.01 you can do the same with 4.1. They have not changed anything with PDF access. I thought they have prevented pdf(i m using kk files app) since the ios4.02 due to hackers easy access to our iphone data.Is it safe to update my 3gs with the latest ios 4.1 and itunes 10? I downloaded OS 4.1 to my iPod touch recently and, it appears to me, that, ever since, many programs run either more slowly or do unusual things (like quitting and going back to the main screen). The inbuilt calendar, for example, opens to a list view then goes to a blank month view, requiring you to press list again. Other apps suddenly ‘drop out’ and go back to the main screen or just ‘hang’. Is os 4.1 at fault and, if so, can it be shot?